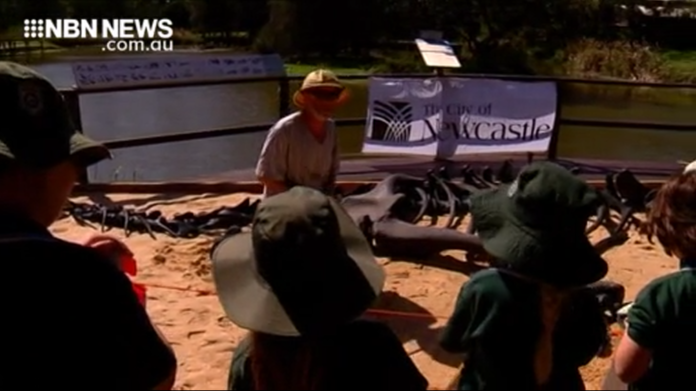 For many kids, it would be a dream job and on Monday students from Shortland Public were the first to try their hands at being a paleontologist, as a dinosaur dig site was unveiled. It’s the creation of the Hunter Wetlands Centre, complete with a to-scale Camarasaurus skeleton, which will be examined daily during the upcoming school holidays. Other dinosaur-related activities at the centre include exhibitions and even dino discos. The event starts on Saturday and will run for two weeks.